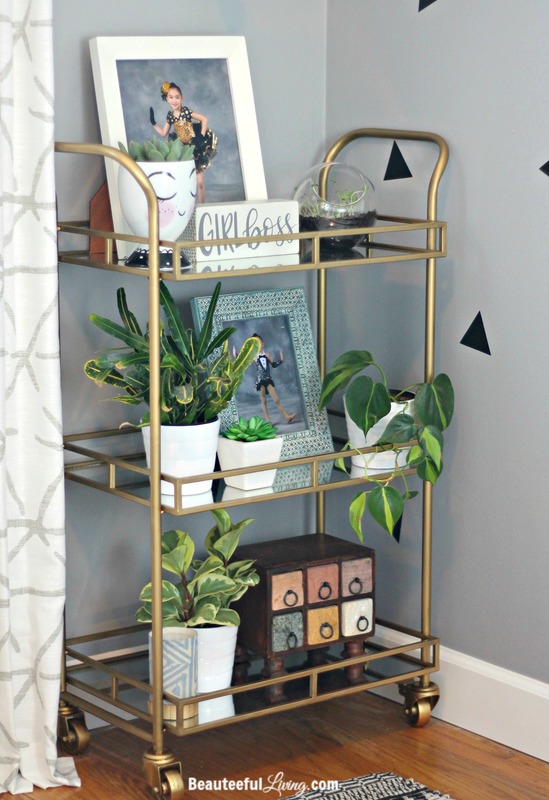 It’s Reveal Day for this fall’s One Room Challenge hosted by Calling It Home and I’m nothing short of estatic for completing another space in our home! 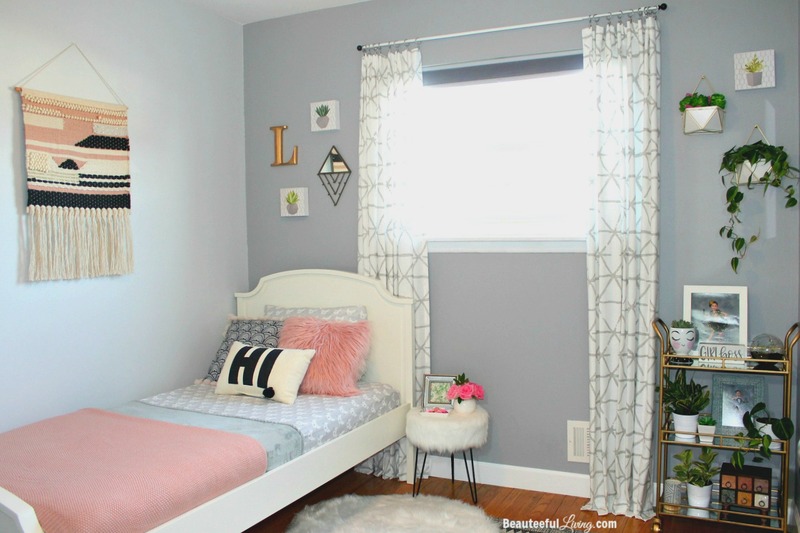 This is the 3rd bedroom I’ve revamped in the 4 times that I’ve been a guest participant of this challenge. 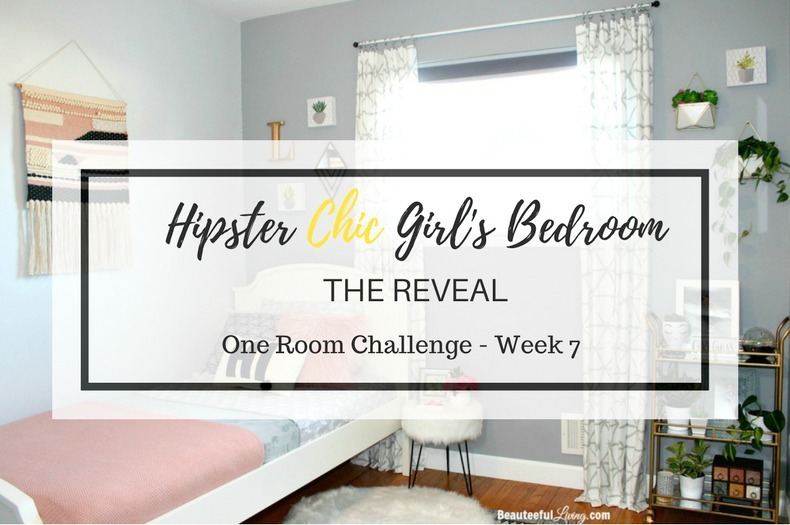 If you’re familiar with my master bedroom makeover from last year, you will notice that Lauren’s Hipster/Boho Chic themed bedroom looks very similar. Let’s begin the tour of the revamped room! First, I have to take you back to the blank space that we started with back in September. Shoebox room stats –> 7 feet by 7 feet wide … one small closet … one small window… one lonely ceiling fan. 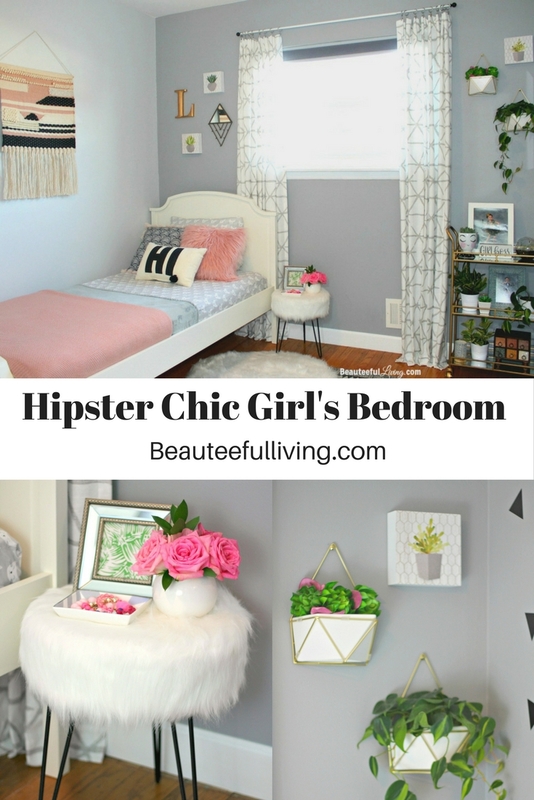 Here is the Hipster/Boho Chic bedroom today! 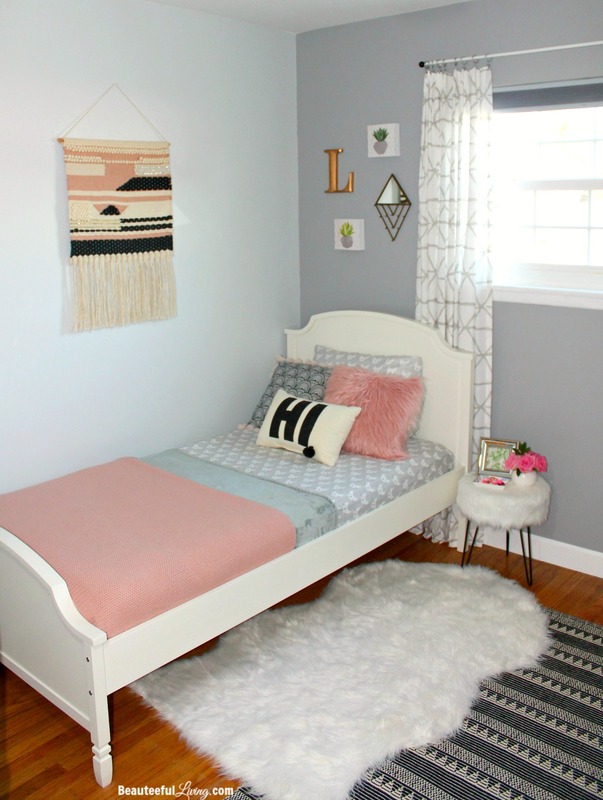 The white twin bed was one of the first things that I ordered for Lauren’s new bedroom. Assembling the bed took almost no effort and I love the fact that there’s an option for a trundle to be added underneath. 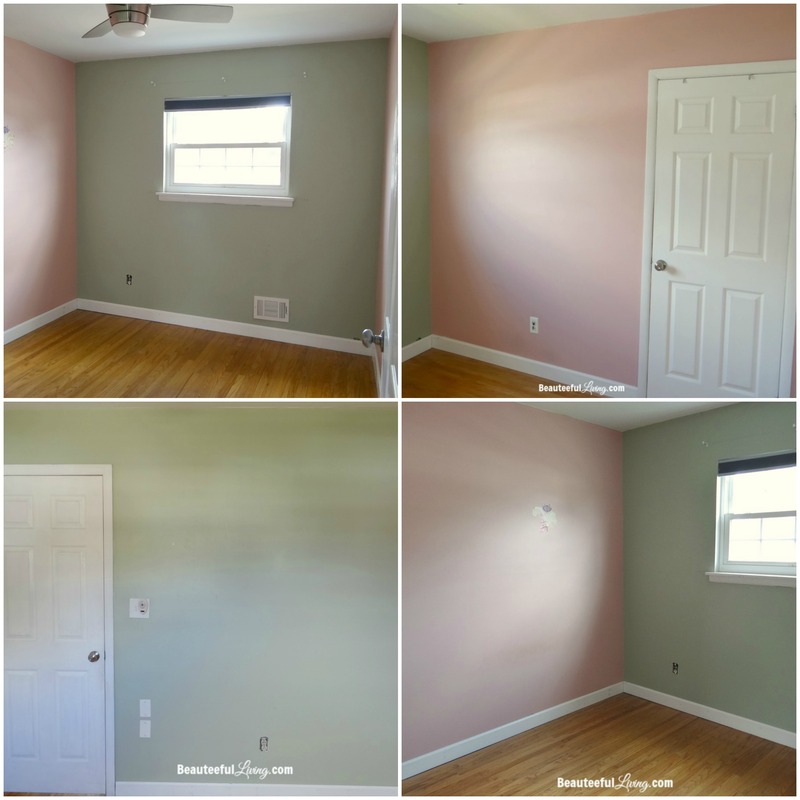 Light Gray Paint: Olympic One’s Spring Thaw (OL179) *We used this paint for 1 accent wall. Dark Gray Paint: Olympic One’s Flagstone (OL154) *All the walls except 1 was painted this color. 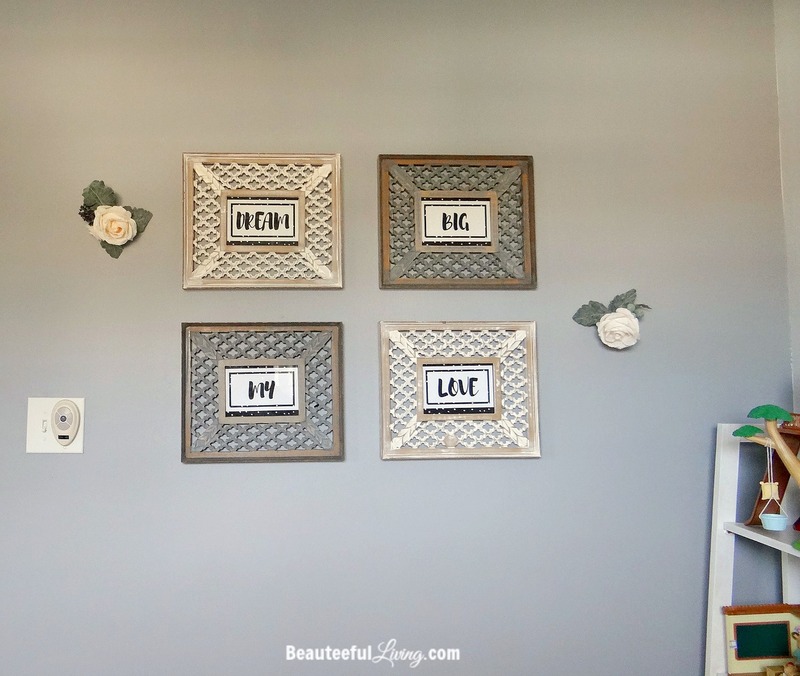 I created this mini-gallery wall by simply using cute World Market finds, like the cactus wall frames and diamond mirror jewelry hang. Lauren loves her cute kitty bedding set and her new throw pillows. Nothing like a pillow that greets you with a big, cheery “HI” when you walk into the room. The “Hi” lumbar pillow from Target even has “BYE” written on the back.” Right now, Lauren’s personality is more of a “Hi” versus a “Bye.” Hope that doesn’t change in her teenage years! 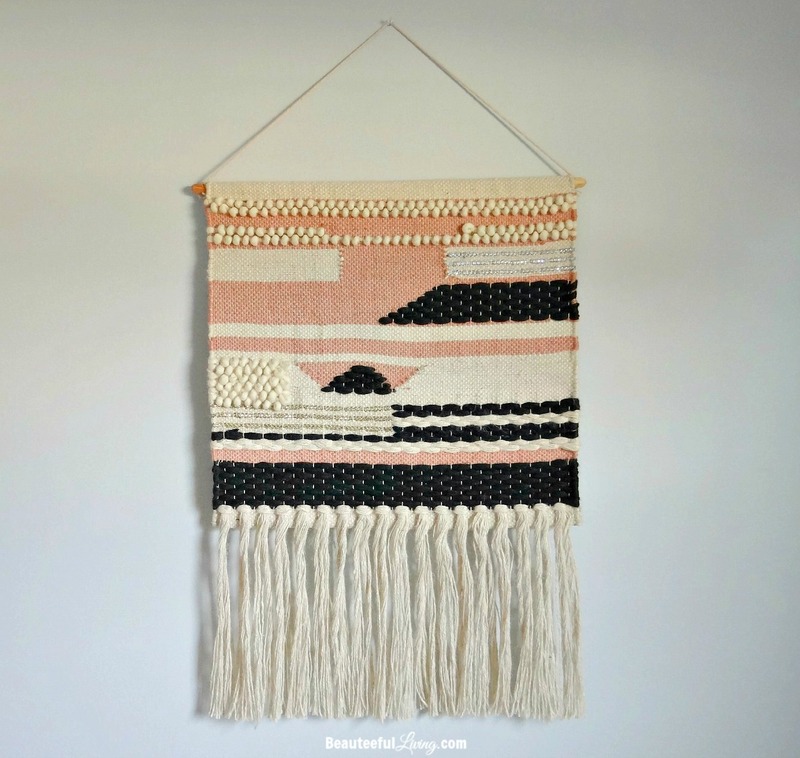 What’s a Boho-themed room without a wall hanging? I couldn’t believe my luck when I saw this at Home Goods the other week. It was meant for this makeover! I wasn’t even trying to be matchy matchy but sometimes, things just happen to align that way. Oh … Happy. Happy. Joy. Joy. Instead of going with a nightstand, I went with a furry footstool instead. The girl just needs a place for her weekly floral delivery, right? 😉 Uh…a Kleenex tissue box will be making an appearance as soon as those flowers wilt! Next to Lauren’s bed is this greenery-filled section. Greenery is one of the first things that come to mind when I think of the Hipster/Boho theme. 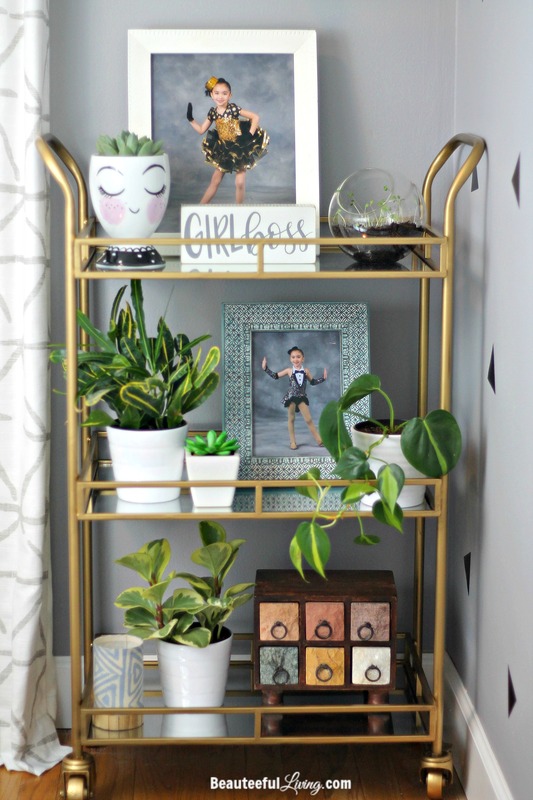 Nothing like plants to bring more life into a room, especially when it’s such a small space! 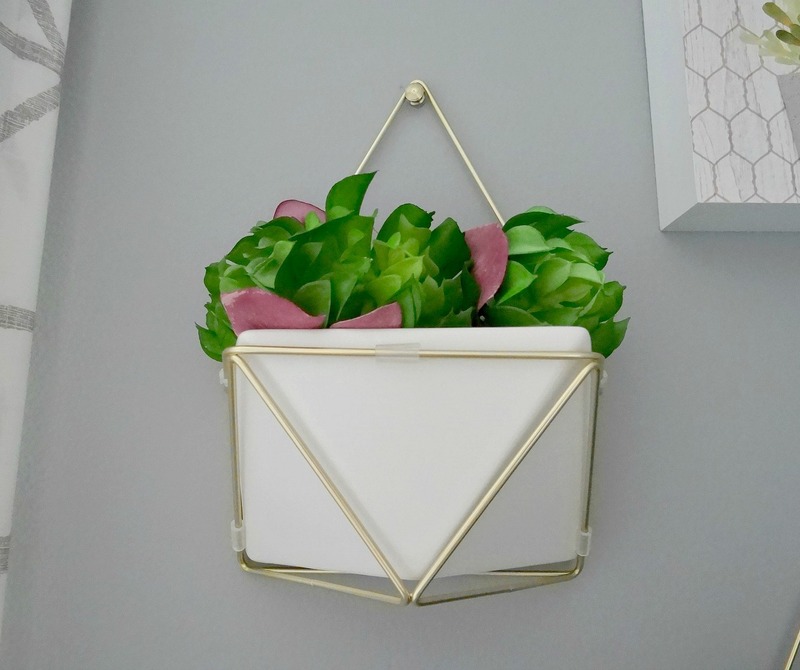 I placed faux succulents and orchid petals in this geometric-shaped hanging planter. Lauren has a nurturing personality which is why I created this little “Green” space for her. 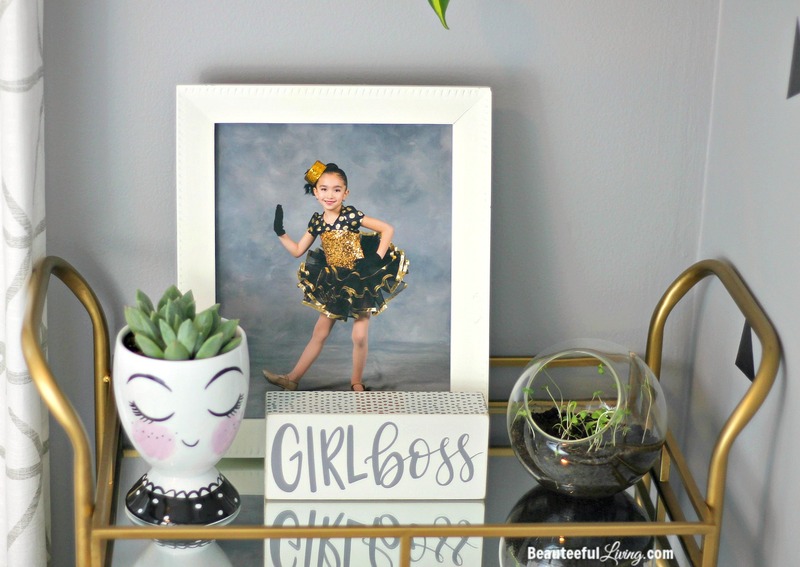 Let’s see how much of a green thumb she has since she’ll be taking care of several plants in her bedroom! Never too young to learn responsibilities, right? 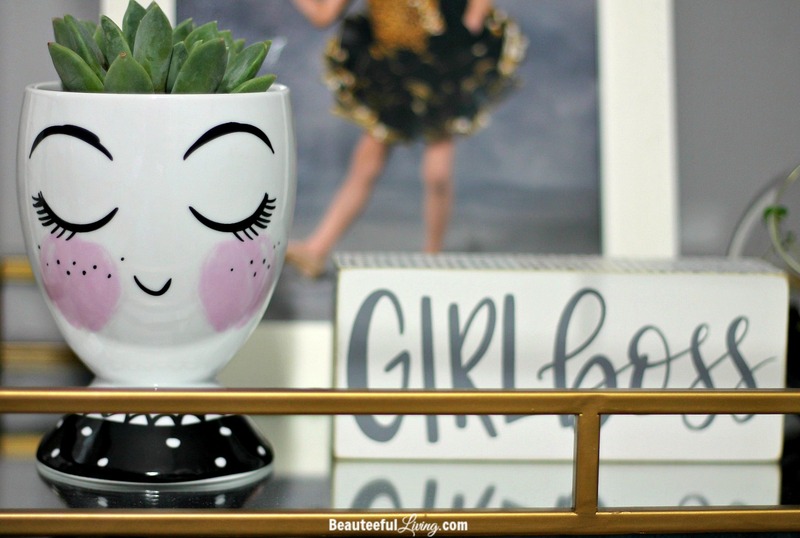 How cute is this succulent holder with the curly lashes? Lashes for days is what we say about Lauren. Her lashes are super long … like Latisse commercial-worthy long! 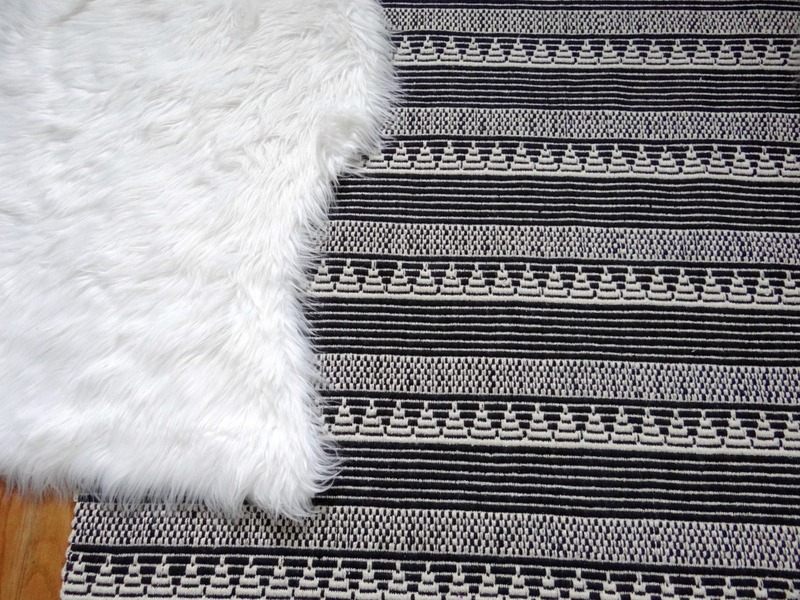 Going with the black and white color scheme, I went with this knitted cotton rug (another score from Home Goods). 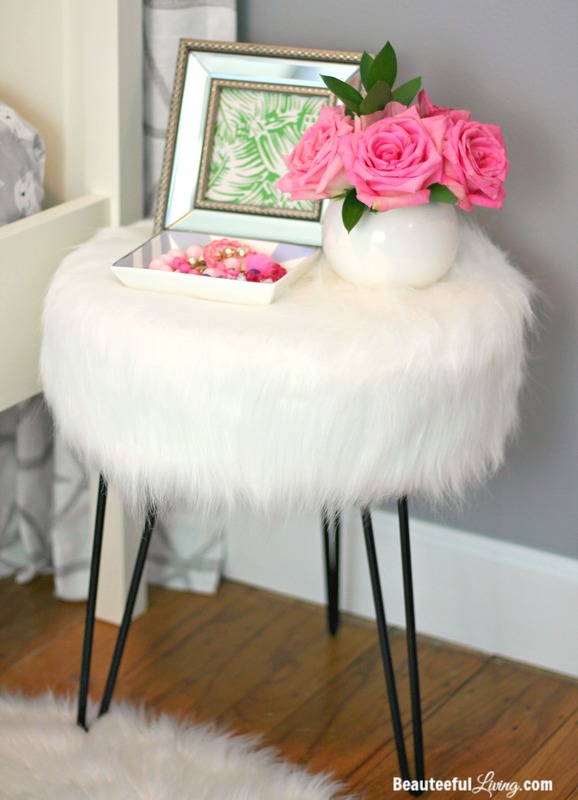 I decided to layer the cotton rug with a Safavieh Faux Sheepskin Shag Rug to cozy up the room. 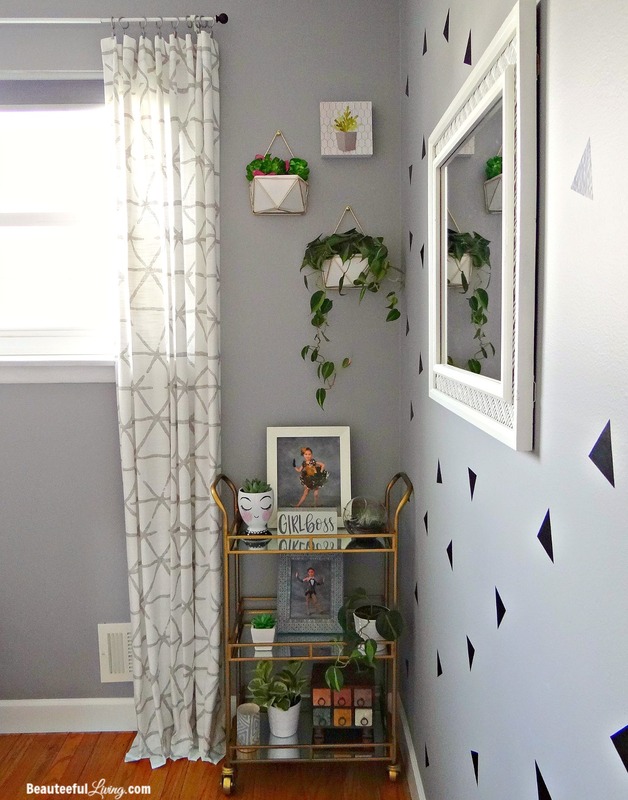 The black triangle decals on the wall can be purchased HERE . “Dream Big My Love.” Great sentiment to live by! I created the prints and placed them in the beautiful handcrafted frames you see below. 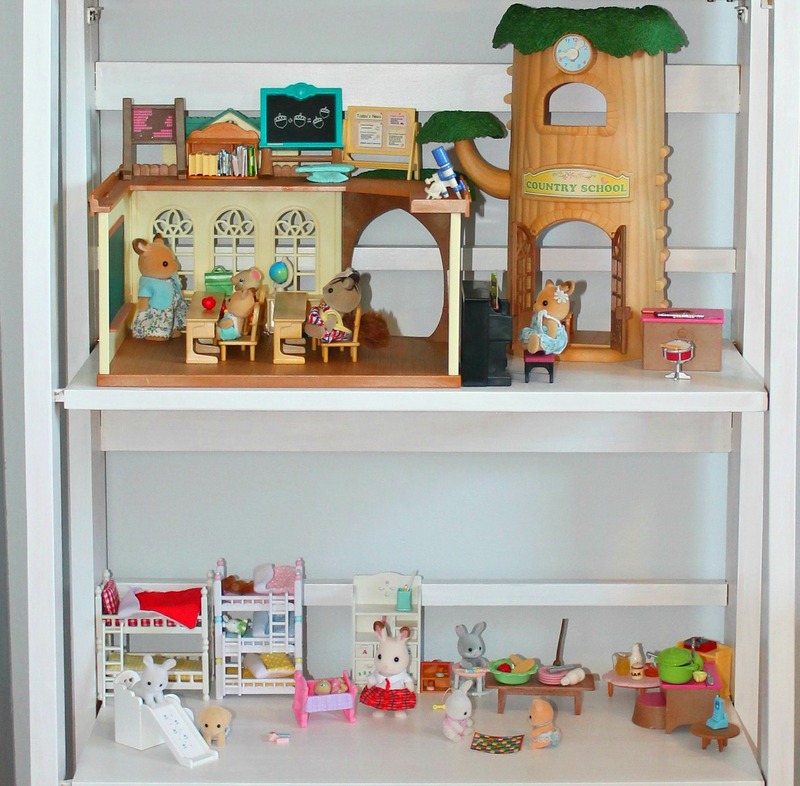 As you can see, Lauren is currently quite fond of Calico Critters . 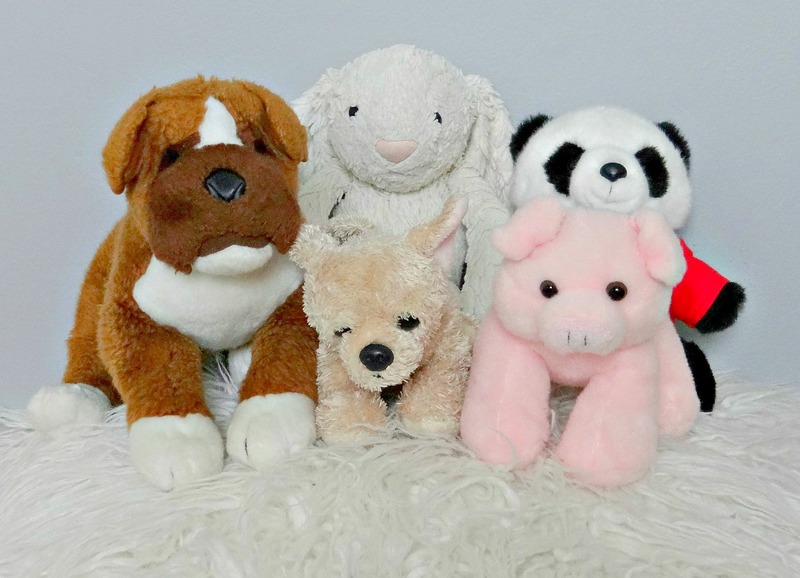 Below are Lauren’s favorite stuffed animals. She’s had that bunny since she was a baby. Do you see that boxer stuffed animal? It’s her absolute favorite stuffed animal. She named it Lola after our beloved boxer Lola. She sleeps with it every…single..night. 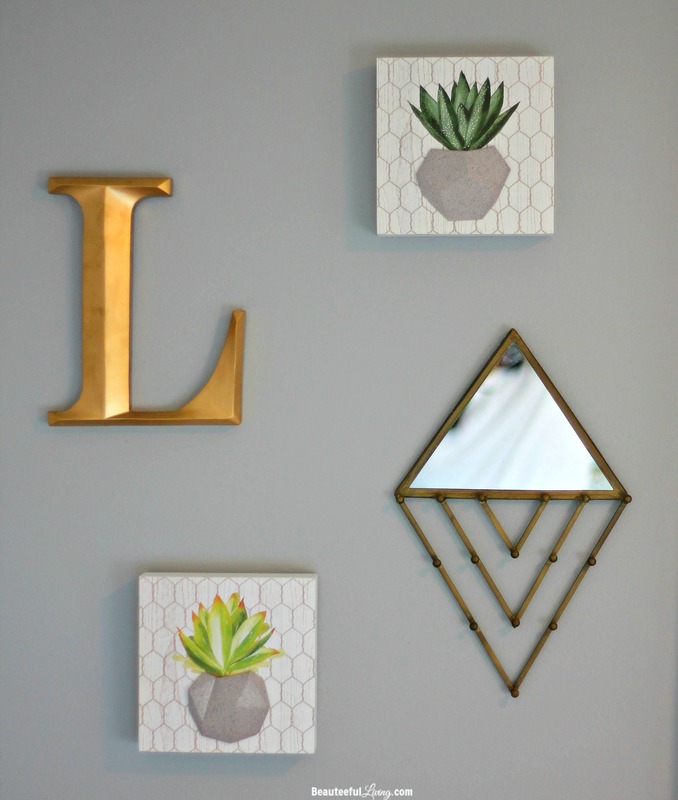 Whew … I think I’ve captured pretty much every detail in Lauren’s revamped bedroom. 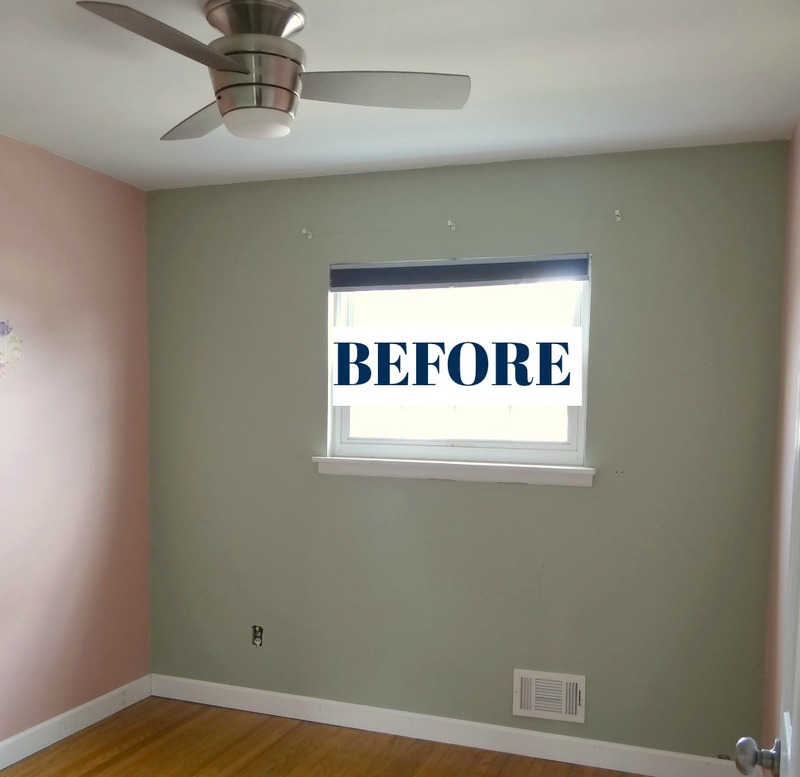 Love this makeover? Please PIN/Share this post. Again, special thanks to World Market for being a sponsor of my guest participation in this fall’s One Room Challenge! Thanks for reading today’s special post, lovely readers. Please be sure to head over here to see the gorgeous makeovers from the 20 featured designers. You can also visit the guest participants linking up to this challenge here (starts this Thurs). A big “Thank You” to the lovely Linda from Calling It Home for hosting! So much talent and inspiration in Blogland! Have a comment or question about this makeover? Please leave in comments below. Some of the plants in her room are poisons. ( the philodendrons and sanservera/ mother in laws tongues) You might consider African violets which are low care and not poisonous. The room is beautiful though! Hi Laura, thanks for your comment. I’ve never heard that about those plants. I’ll have to look into that! Good thing my child isn’t a young toddler. Thanks for your compliment on the room! Tee, this is such a pretty space! I bet she loves it!!! 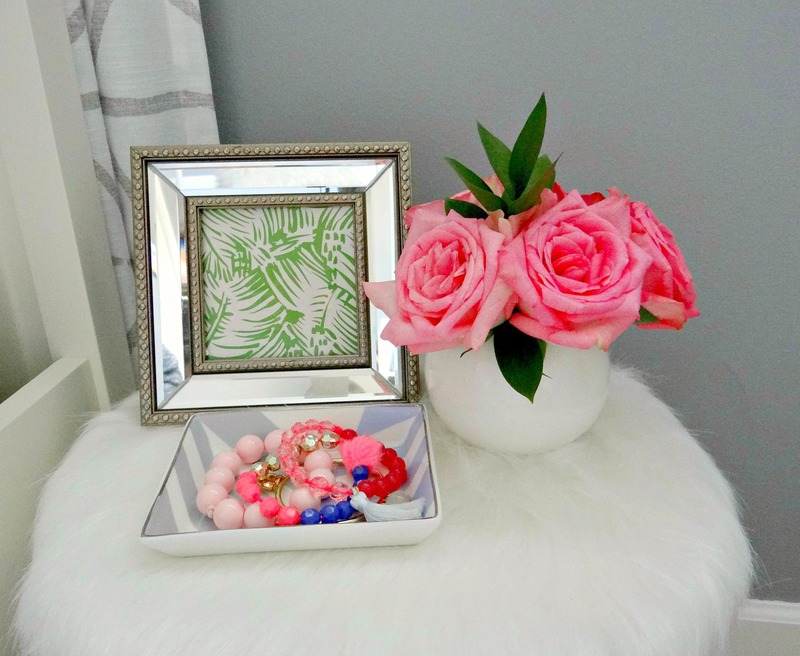 Tee, your daughter’s bedroom is so pretty. I love the soft palette, along with the varied textures and personal touches. I remember you did your other daughter’s room previously. 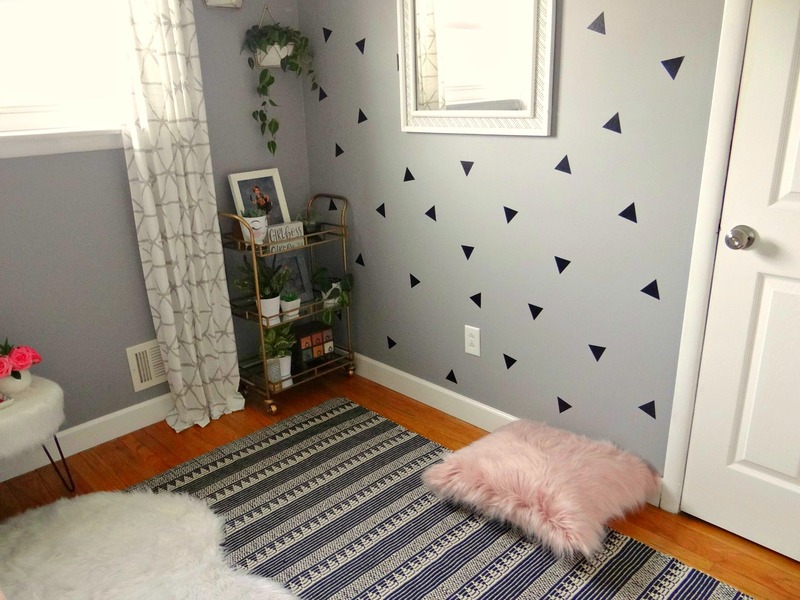 Tee, Lauren’s room looks fabulous!!! 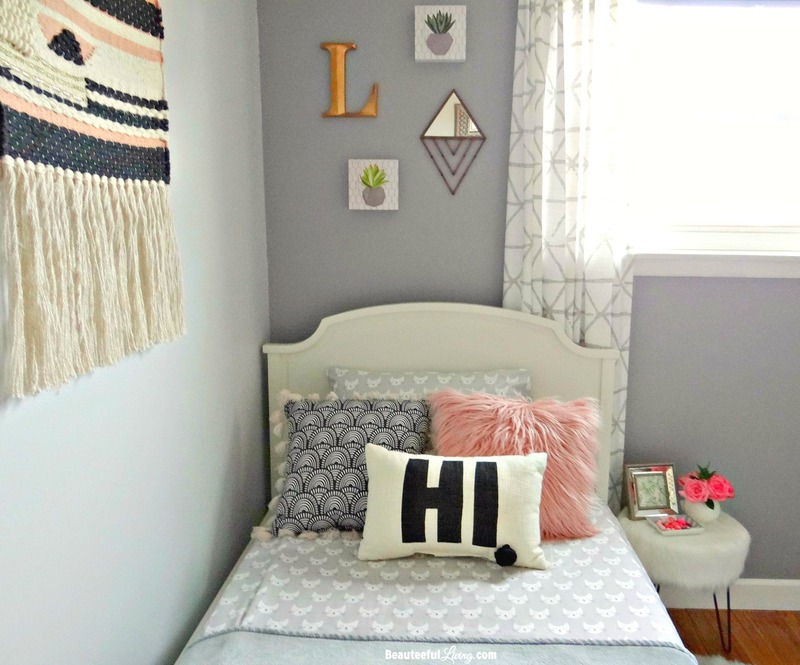 Love the color scheme and I know that my daughter would love that hi and bye pillow :). Great job on her room and I hope you have a wonderful Thanksgiving!!!! Love the boho girl style you ladies went for! Congrats Tee and cheers to us for another room done! The room turned out great, Tee! So sweet and charming, with plenty of features that will allow her to adapt the space as she grows into a little lady. Lauren is one lucky girl to have such a thoughtful mama! I love this room! So glam – and I’m sure your girl loves it! Those hints of gold and blush are perfection! Honored to have done this ORC with you! I like the pink with the gray! I also love your wall art. Nice job! 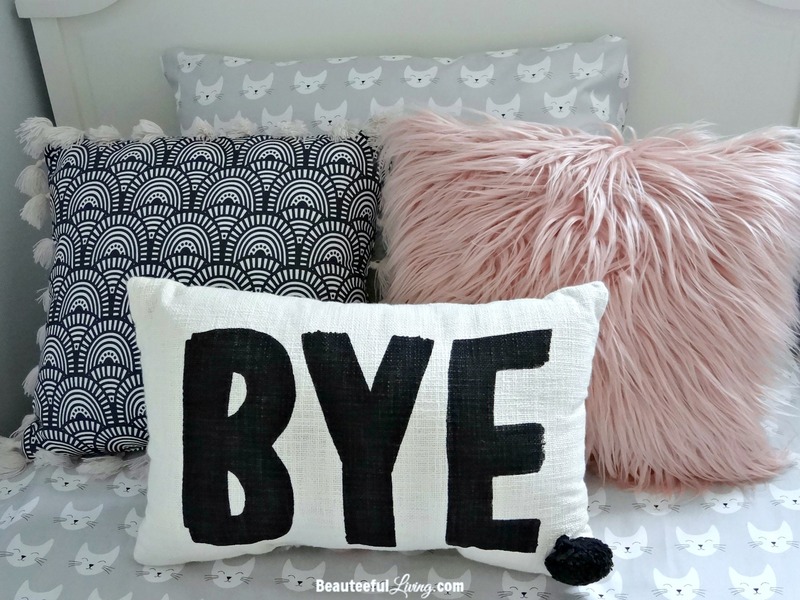 That Hi / Bye pillow is so great! : ) Also love the triangle details on the wall, very cool. Great Job, I’m sure she just LOVES it! I love how the room turned out — it’s beautiful! 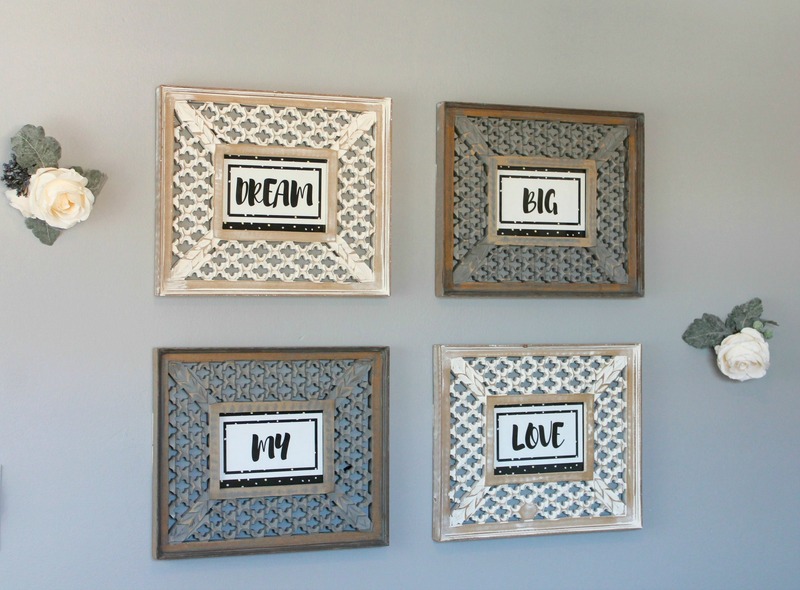 The “Dream Big My Love” gallery wall is very sweet! Thanks so much, Lauren! She loves walking into her room now! Thanks, Kristen! Congrats on finishing your space too! Oh my gosh, this is the CUTEST room! 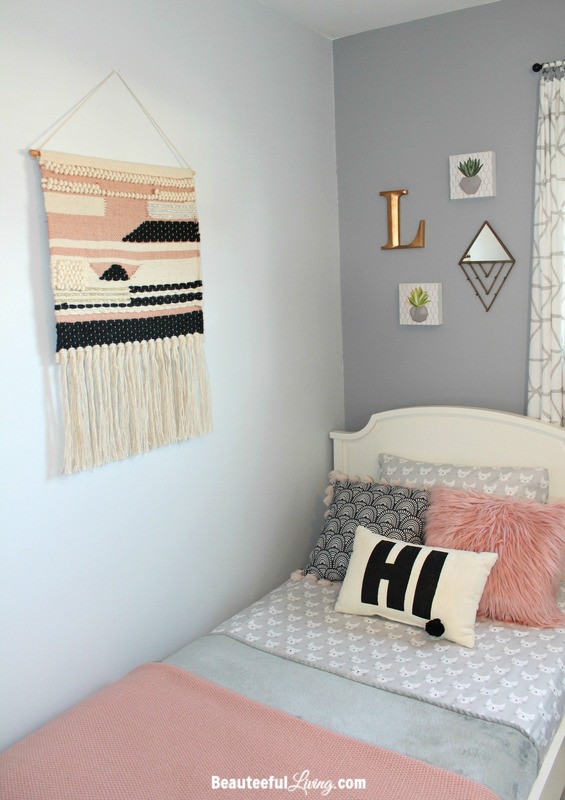 I love all the pink and gray and the little details you’ve added are just perfect! I am certain your kiddo is never going to want to leave! Awesome job!!! 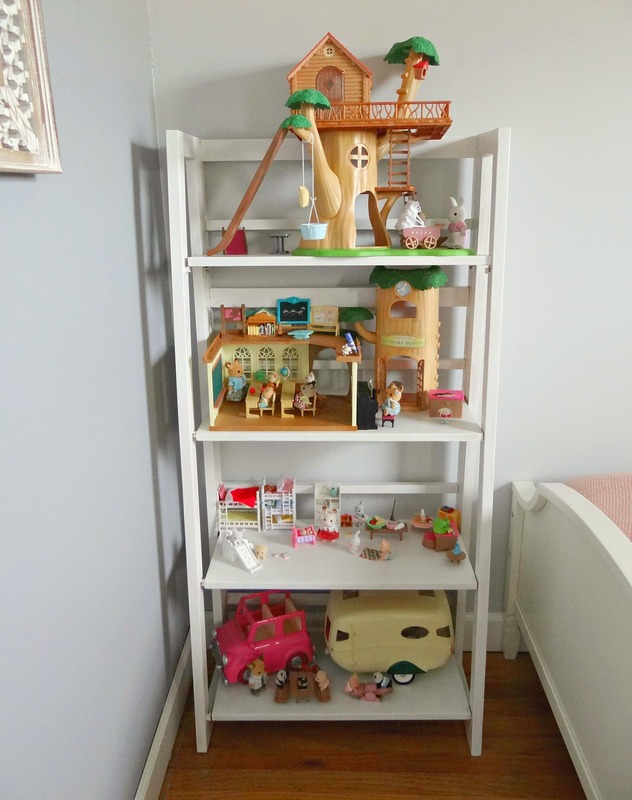 5 stuffed animals & just calico critters is an amazing feat! Kudos to you. Beautiful! I am in love with those planters! Love all the green plants in the room! 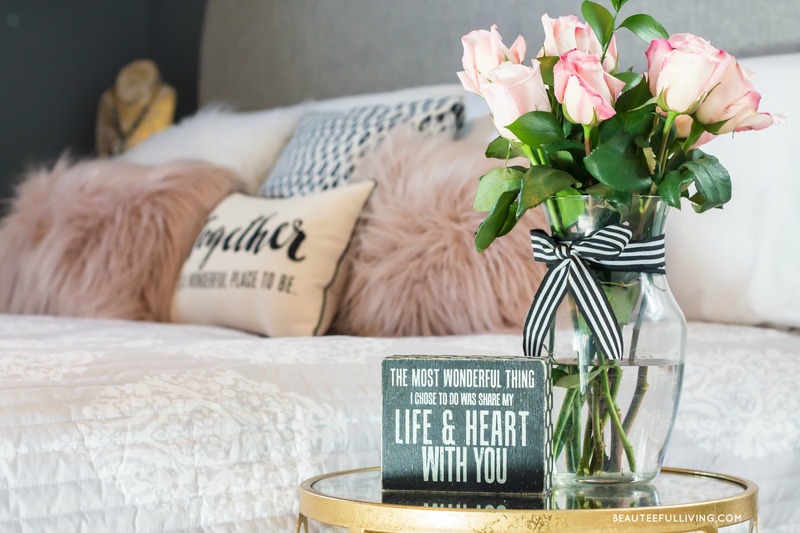 She’s a lucky girl to have such a sweet space to call home! I love how its girly and grown up at the same time! 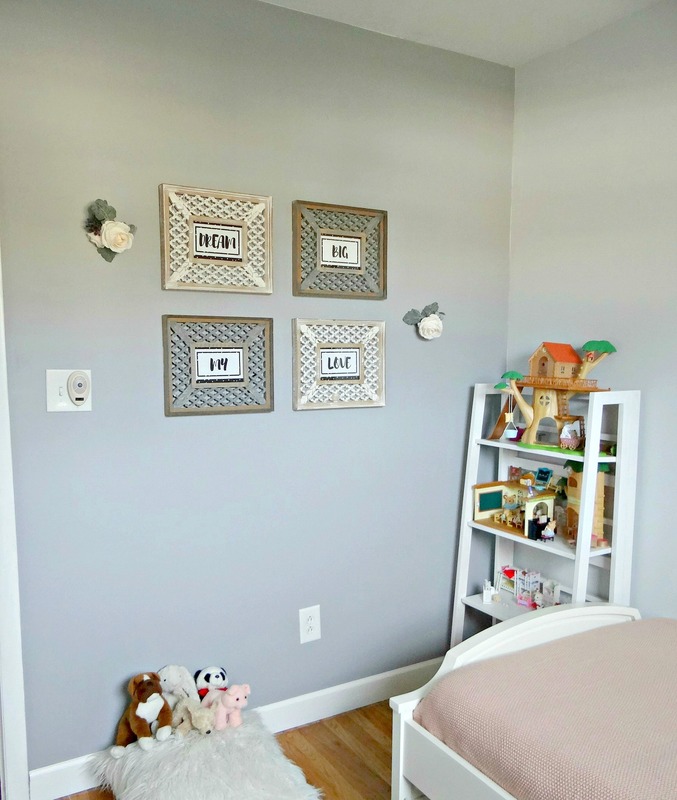 Oh my gosh this room is perfect for a little girl! Your daughter must be over the moon excited!!! The little bar cart with all the plants is so freaking cute! She is one lucky little girl Tee!!! I love her room! From those spectacular geometric patterned walls, fuzzy rugs and pillows and those pretty plants stands I would never come out of there. Great job!!! Thanks so much for the sweet compliment, Jen! It was so much fun working on this space. adorable space Theresa! I’m sure your little girl will love it. I enjoyed taking my time to notice all the little touches. Thanks so much for following along this makeover, Erika! 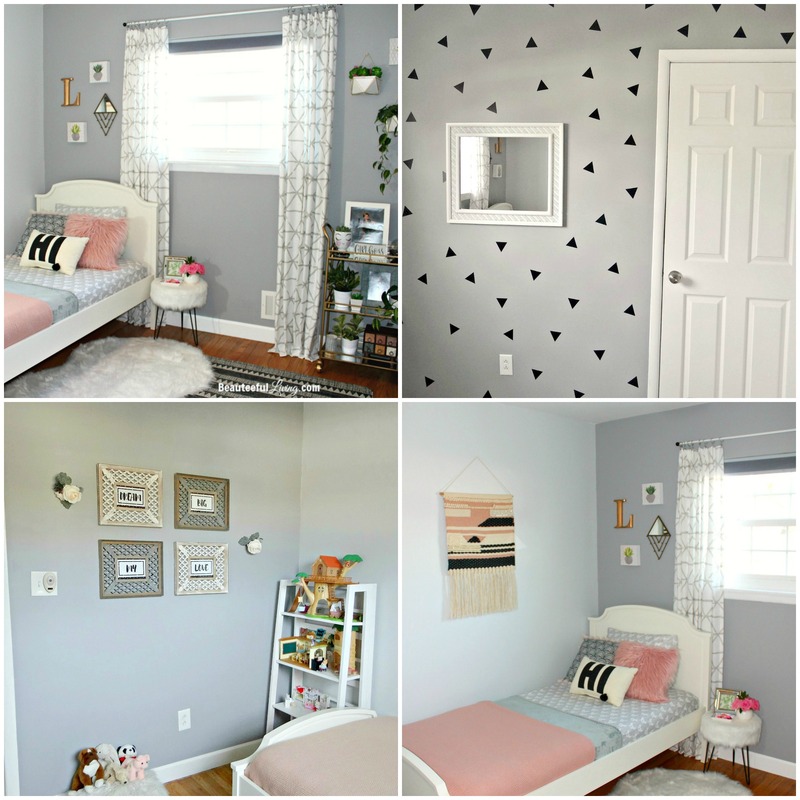 Your daughter’s room turned out beautifully! Nice job! Wow! Love all those details!! 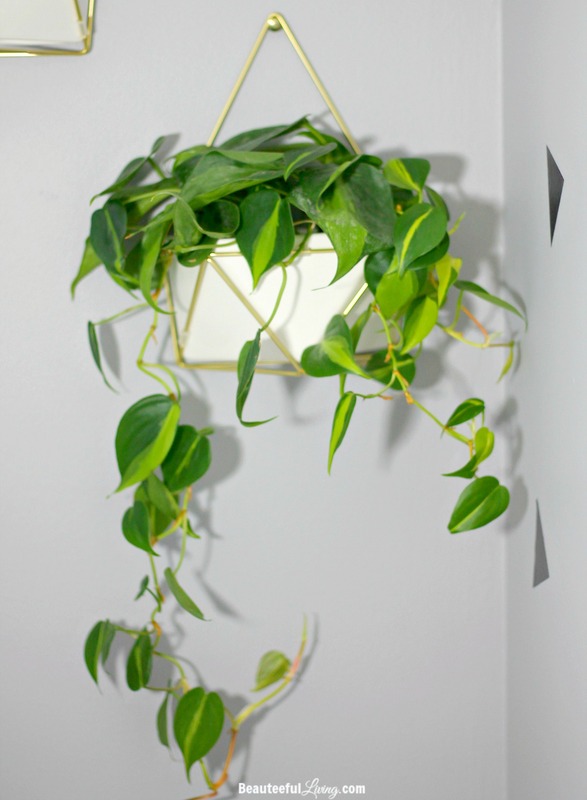 I just put up one of those geo plant holders on our entry wall. Thanks so much, Amanda! 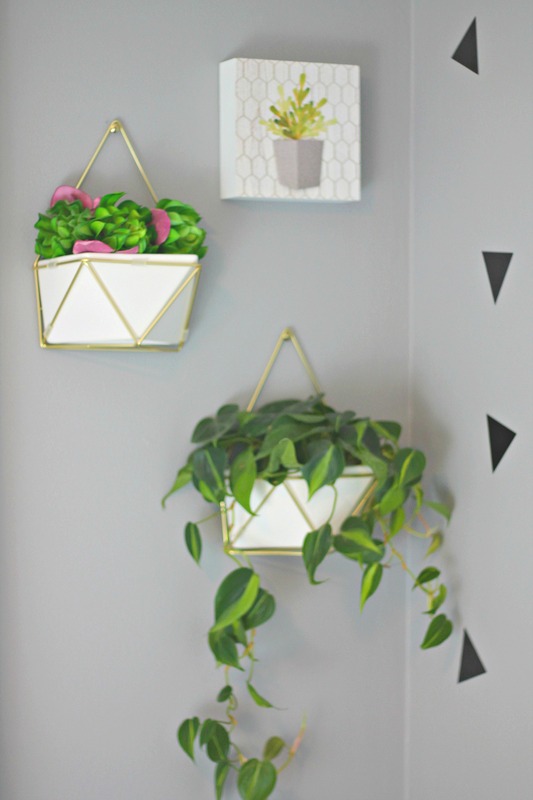 Aren’t those geo planters the best?! All the details are so perfect and go well together. 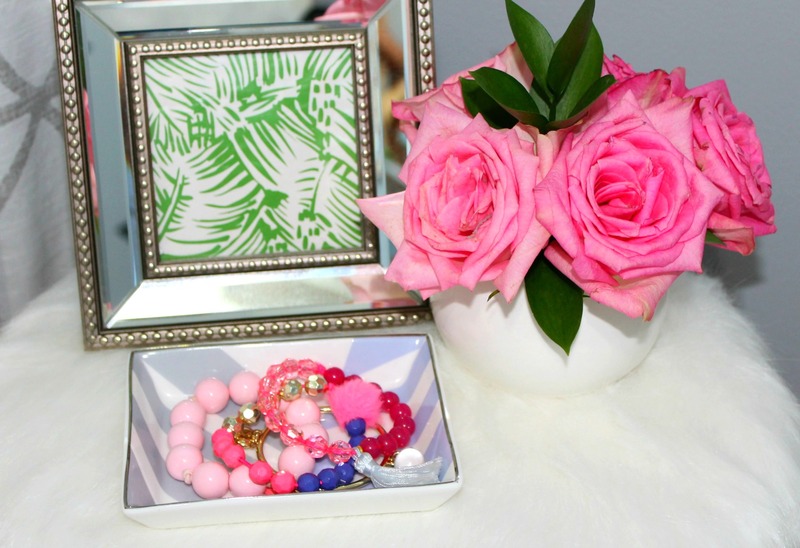 I would love to have this girly room for myself!